The Campaign for Real Ale (CAMRA) is warning that a ruling by EU bureaucrats could put hundreds of cider producers out of business. A long-standing tax break for artisan cider producers who produce under 33 pints of cider per day has been ruled illegal and the British government ordered to impose a 27% tax on them. 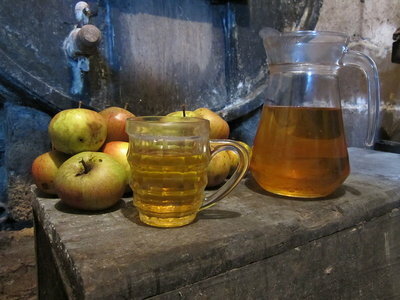 Around 80% of England's cider producers are currently eligible for the tax exemption and will be hit with a tax bill. UKIP MEP, James Carver, is supporting CAMRA's campaign to fight the EU cider tax. I believe that this unfair EU tax could drive many people in the cider industry out of business. Small-scale producers would be severely hit by this EU interference. Our Government should stand up to the EU and defend the interests of our cider and perry industry.